The Amu Darya is the largest river in Central Asia and is part of the Aral Sea basin linking Tajikistan, Kyrgyzstan, Afghanistan, Turkmenistan and Uzbekistan. These five countries are heavily dependent on the river and its tributaries for food, water and energy; however cooperation on the use of water resources in the Amu Darya Basin is limited. As the regional population rises and economic demands in the basin increase, the riparian countries are concerned they will need more water – but may get less. Climate change, which has caused the river’s seasonal flow to become erratic, has heightened concerns about diminishing flows. To respond to dilemmas in Amu Darya Basin, IWA, IUCN and EWI initiated a three-day workshop in July 2014 in Istanbul, Turkey. 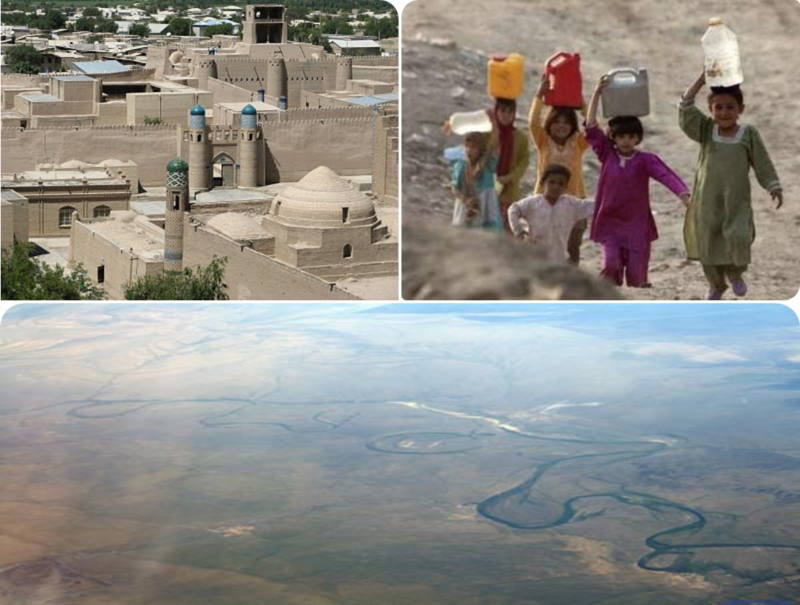 The workshop built on the accomplishments and lessons-learned from several international and local water initiatives addressing water challenges in the Amu Darya Basin. Through interactive sessions, the workshop sought to address current policy, institutional and technological barriers to sustainable integrated resource use in the Amu Darya River Basin as well as potential pathways for solutions. This workshop brought to the table a set of additional key actors without whose sectoral expertise and regional influence a dialogue on the closely inter-related agricultural, water and energy challenges would have remained incomplete. Participants included UN officials and academics with a mandate to address strong political sensitivities underpinning policy choices through diplomatic avenues. The goal of the initiative was to foster an exchange among managers of water, energy and agricultural resource managers and policy experts, both from the Central Asian region and internationally, on policy reforms and technological, institutional and financing solutions in support of improved water management and mitigation of conflict over shared resources among antagonistic states. (1) Gaining an understanding of how to combine and apply best practices on water-energy-food nexus approaches for solutions in river basins. (2) Developing an integrated roadmap to plan for strategic investments in infrastructure solutions for water, food and energy security, including new technologies such as efficiency-enhancing irrigation infrastructure and renewable energy sources, whose potential remains vastly underexplored in the Central Asian region. (3) Motivating participants to take practical steps toward implementing water, energy and food nexus planning and practices in the Amu Darya River Basin. (4) Exploring new avenues for advancing hydro-diplomacy in Central Asia in the wake of the successful Conference on International Water Cooperation, held in Dushanbe in August 2013 (and for which EWI served on the International Steering Committee), as well as with the advent of a profound transition in Afghanistan, whose agricultural and hydrocarbon resources will play a key role in post-2014 economic reconstruction efforts. To respond to nexus dilemmas in Amu Darya Basin, IUCN, IWA and EWI initiated a three-day workshop in July 2014 in Istanbul, Turkey. The workshop built on the accomplishments and lessons-learned from several international and local water initiatives addressing water challenges in the Amu Darya Basin. Through interactive sessions, the workshop sought to address current policy, institutional and technological barriers to sustainable integrated resource use in the Amu Darya River Basin as well as potential pathways for solutions.